This weekend, H.E. 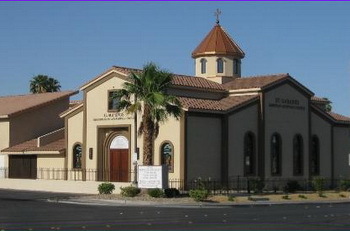 Archbishop Moushegh Mardirossian, Prelate, will pay a pastoral visit to the Las Vegas parish community. On this occasion, on Sunday, October 11, 2015, the Prelate will celebrate Divine Liturgy and deliver the sermon at St. Garabed Church in Las Vegas. 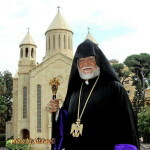 During the service, His Eminence will conduct the blessing of water with the Holy Muron blessed by His Holiness Aram I in Bikfaya in July. We invite our faithful to participate in the ceremony and receive the blessed water. 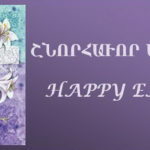 In honor of Armenian Culture month, the Prelacy Ladies Auxiliary has organized a lecture-luncheon which will be held on Thursday, October 15, at the Prelacy “Dikran and Zarouhie Der Ghazarian” Hall. The event is being held under the auspices of the Prelate and features renowned ophthalmologist Dr. Mireille Hamparian, who will lecture on “Common Eye Diseases.” The event begins at 11:30 a.m.
We invite our community to attend and support the efforts of our Ladies Auxiliary. For further information please contact the Prelacy office at 818-248-7737 ext. 101. 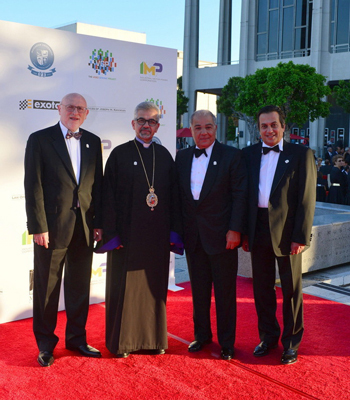 On the evening of Saturday, October 3rd, Haigazian University celebrated its 60th anniversary at the Dorothy Chandler Pavilion in Los Angeles. The evening began with a welcome reception, followed by performances by tenor Placido Domingo, and concluded with a gala dinner. The Prelate attended and conveyed his blessings and congratulations to the Haigazian University family. On the evening of Monday, October 5th, a meeting initiated by the “In Defense of Christians” organization was held at Our Lady of Mt. Lebanon – St. Peter Maronite Cathedral in Los Angeles to discuss ways to support the plight of Christians in the Middle East. Given that the Prelate was in the East Coast participating in the Holy Translators Joint Clergy Conference, Very Rev. Fr. Boghos Tinkjian attended on his behalf. 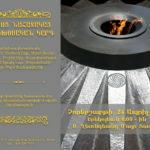 The program included video clips documenting the current state of Christian communities in a number of countries in the Middle East. A discussion followed, during which ideas and suggestions were put forth on how best to garner widespread attention of the plight of Christians in the Middle East and secure the support of governments and peoples.